There’s a lot you can do to help make your “straight bankruptcy” Chapter 7 a straightforward one, but one thing you can’t control is your creditors’ reactions to it. You know that creditors can try to prevent you from discharging (legally writing off) your debts, so naturally you worry about this. Here’s why you shouldn’t worry. Let’s first be clear that I’m not talking here about the kinds of debts that simply can’t be discharged, and don’t require any creditor objection for that to happen—for example, back child and spousal support, many taxes, and criminal fines. Instead I’m talking about the right of any creditor to object to the discharge of its debt, under certain limited circumstances. You might figure that if your creditors have ANY chance to object to the discharge of their debts, it would jump at the chance to do so. Or at least enough of them would object to cause you trouble. But that is NOT what happens. Most Chapter 7 cases go through with NO creditor objections at all. Well, why not? 1. The legal grounds for creditors’ objections are quite narrow. They need to have evidence that the debt was incurred through your fraud or misrepresentation, arose out of a theft or embezzlement, as a result of your intentional injury to a person’s body or property, or was related to other similar bad acts. So creditors don’t object to the discharge of their debts simply because most of the time no such facts exist. 2. Even within such narrow grounds, relatively common situations such as bounced checks or the use of credit not long before filing bankruptcy can be seen as fraudulent, so creditors can object to these kinds of debts. But even in these situations, creditors often do not bother to object because they decide it’s not worth “throwing good money after bad”—spending more money for their staff time and attorney fees in the hopes of first getting a bankruptcy judge to agree with them, AND then still needing to get you to repay the debt. 3. One of the reasons why sensible creditors decide not to object even when they think they might have the legal grounds to do so is that they risk being ordered to pay your attorney’s fees to defend against their objection. That can happen if the judge thinks that “the position of the creditor was not substantially justified.” So creditors risk not only paying for their own costs to object, but also paying for your costs in fighting the objection. So that’s why most creditors just write off the debt and move on. But there ARE two exceptions. 1. Leverage: If a creditor thinks it has a decent case against you—such as with a string of bounced checks or a debt incurred shortly before the bankruptcy was filed—it may well object to the discharge of the debt knowing that YOU can’t or don’t want to pay attorney fees in fighting it, EVEN if you have a decent defense. So they’ll raise the issue in the hopes of forcing you to enter into a settlement quickly. 2. Axe to grind: If you have someone you owe money to who is simply very mad at you, so that your bankruptcy filing really aggravated him or her, then this creditor might be looking for an excuse to hurt you back. Ex-spouses and ex-business partners are the most common. Irrational anger by those types, not reined in by the financial realities, probably causes the messiest objections. To reduce any anxiety you have about any of this, talk it over thoroughly with your attorney. 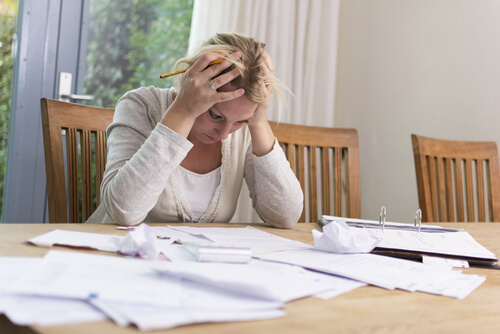 If you have any concern about how you incurred any of your debts, or if someone has threatened you with any trouble if file bankruptcy, lay it all out. Often, your fear will not be justified. And if there are potential problems, being up-front about it may enable your attorney help reduce the risks. A final bit of good news: creditors have a very limited time to raise objections: generally 60 days after the Meeting of Creditors. So, if whatever assurances given by your attorney still doesn’t stop you from worrying in the meantime, you’ll at least know that you can stop worrying after that date.